Modern Times Group’s soon-to-be-spun-off TV and streaming arm Nordic Entertainment Group (NENT Group) has acquired the exclusive Swedish, Norwegian and Finnish media rights to 50 tennis tournaments from the Women’s Tennis Association (WTA). 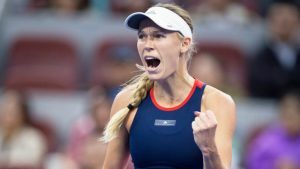 The deal means that Nordic tennis fans can now follow players such as Denmark’s Caroline Wozniacki and Sweden’s Rebecca Peterson live on NENT’s streaming service Viaplay, with selected matches also broadcast on NENT Group’s TV channels. NENT Group’s coverage of WTA events begins with this month’s WTA tournaments in Shenzhen, Brisbane and Auckland, and concludes with the season-ending WTA Finals in Shenzhen between October 27 and November 3 2019. NENT also holds the Danish, Swedish and Norwegian media rights to the men’s tennis ATP World Tour Masters 1000 series and ATP World Tour Finals; and the Danish media rights to the ATP World Tour 250 and ATP World Tour 500. Separately, Sky Deutschland has extended its agreement for exclusive rights to ATP men’s tennis in Germany, .Austria and Switzerland. The pay TV broadcaster will have the rights to air coverage of the 2020 Nitto ATP Finals in London from 2020 to 2023 and wherever the final series will be held in the following years, the nine ATP Masters 1000 tournaments, most of the 13 ATP 500 tournaments and can also provide live coverage of selected tournaments of the ATP 250.